This museum and memorial is housed on the site of the main torture prison of the former East German Communist Ministry of State Security, the Stasi. Its location outside of the centre makes it a less crowded sight than many others in central Berlin. 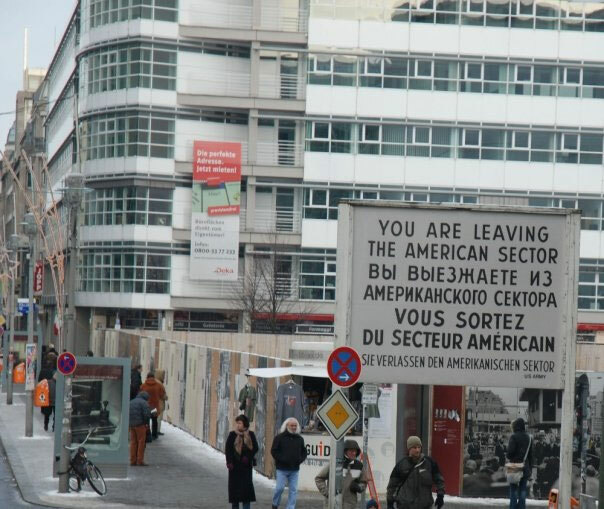 The prison has been left virtually intact since the Stasi walked out 20 years ago, and provides a fascinating but chilling insight into what life was like behind the Iron curtain. You need to join a guided tour (German or English) to explore the museum, but this is reasonably priced and enlightening, with some tours led by former inmates. The easiest way to get there is by tram or taxi (about 10 euros from the city centre). Berlin is full of fantastic historical architecture such as the iconic Brandenburg Gate, but those interested in striking contemporary architecture are also in for a treat. Potsdamer Platz packs in plenty of modern buildings, all built after 1995, but to uncover less well-known modern architecture you could check out Am Kupfergraben 10. This purpose-built, contemporary gallery space on the Kupfergraben canal overlooks Museum Island, so it’s easy to miss it in the rush to see all the other attractions in this part of Berlin. The simple and bold design, with its large windows letting in heaps of natural gallery light, manages to strike a good balance between fitting into its surroundings and yet still making a statement. Another place worth seeking out is the serene Chapel of Reconciliation in the Mitte district, with its elegant wooden curves. Sat on the site of a former church, knocked down in the 1980s to clear the area between East and West, an outer oval wall recreates the shape of the chapel’s predecessor, while an inner oval made from pressed clay follows the usual east-west orientation of churches, and is the first clay-built public building to be constructed for more than 150 years in Germany. Other better-known modern buildings in Berlin that are worth a look include the Nordic Embassies; the Holocaust memorial and museum designed by Daniel Libeskind; and the Reichstag, which blends old and new with its modern glass dome. Another great idea for visitors looking for something a bit different is to join the free ‘Alternative Berlin’ tour, an English language guided tour which kicks off each morning at 11am from Alexander Platz TV tower and lasts for over three hours. Using the city’s public transport system the guide covers a huge area of the city, pointing out some of Berlin’s alternative, ‘underground’ sights such as graffiti culture, musical landmarks and technological innovations – all for a small donation. If you’re off on a trip to Germany’s capital, you’ll need to check out some Berlin hotels to find the best place to stay. Berlin is the third most visited city in the European Union, so accommodation is in high demand and it’s well worth booking your hotel rooms in advance to secure a good deal.